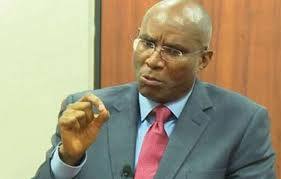 The All Progressives Congress member representing Delta Central Senatorial District, Ovie Omo-Agege, has said that the Federal High Court in Asaba did not nullify his emergence as the party’s candidate for the National Assembly elections held recently. The senator told our correspondent on Monday night that the court lacks the power to nullify his candidature because he was not a party to the suit. He said, “The judgment of the Federal High Court, Asaba is of no consequence because frankly, I am not a party to that litigation. It is a suit filed by some people who are claiming to be the executive of the party. “The parties in the suit are the All Progressives Congress, the party chairman and Independent National Electoral Commission. My understanding is that they are holding that it is their executive in the state that should be recognised. Asked if we challenge the verdict at the Appeal Court, Omo-Agege said that would not be necessary because he already had a consent judgement that had validated the APC executives at wards and state levels in Delta. He said, “The truth is that before that (Asaba) ruling, we already had a verdict of a Federal High Court in Abuja, where a consent judgement was entered and which actually validated the executive from state to wards that produced us. “That consent judgment has not been set aside neither has it been appealed against. The court that gave this verdict in Asaba on Monday is a court of coordinate jurisdiction which has no appellate powers over the Federal High Court sitting in Abuja. “If they want to set aside our candidacy, that can only happen either through having that consent judgment or appeal against it which has not been done. “So, we remain the product of a valid and subsisting judgment that had yet to be set aside.